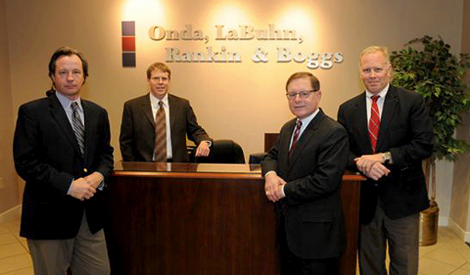 Onda, LaBuhn, Rankin & Boggs Co., LPA, founded in 1991, provides clients with quality advice and practical solutions. We pride ourselves on being a sophisticated law firm that delivers the personal service our clients deserve. Our diverse practice enables our firm to meet the needs of a wide array of business and individual clients. Our firm is defined by the way we practice—every case, every client, every solution is a priority. To ensure that we provide comprehensive representation to our clients, we take a proactive role in helping our clients avoid unnecessary conflicts and problems. Many disputes can – and should – find resolution outside the courtroom, saving our clients time and money. We are always mindful of this fact and use innovative problem solving to resolve disputes and avoid unnecessary litigation. We were honored to be voted Best Law Firm (less than 50 attorneys) by the readers of Columbus C.E.O. magazine. Serving our clients with respect and attention drives all of our business practices, and helps make your success our standard. Our partners have more than 125 years of combined experience to achieve your business’ goals. We are known for exceeding a client’s expectations, and many have called on us for more than a decade for their business concerns. We would be pleased to discuss your legal representation needs. Contact Onda, LaBuhn, Rankin & Boggs Co., LPA at 614-716-0500.